Pockets are functional, but to create the clean look, the flaps are hand sewn at the corners. Back Neck to Waist: 20"
Waist to Bottom of Tail: 20"
The bleach splatter was applied after the garment was completed. 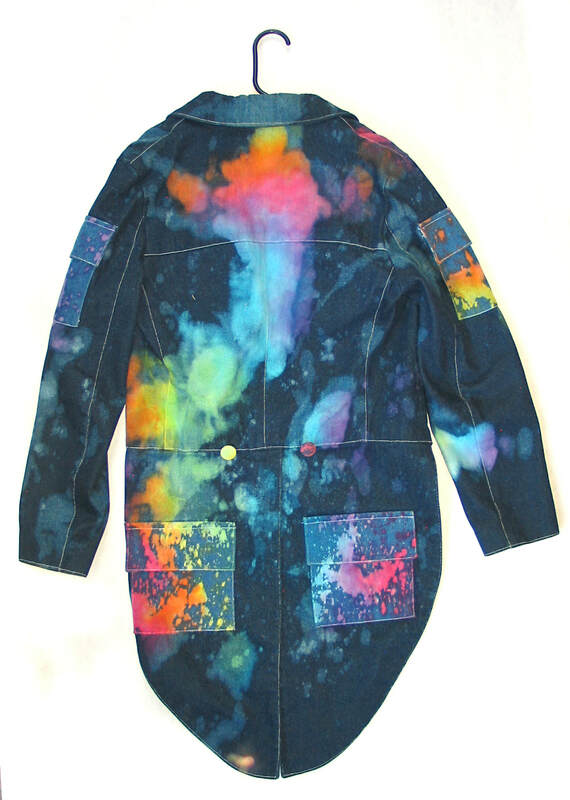 Then, Atomic Sean created the beautiful tie dye effect by blending fabric dyes and hand painting the bleached areas. ***The fabrics are pre-washed, but I advise dry cleaning in order to keep the colors vibrant. 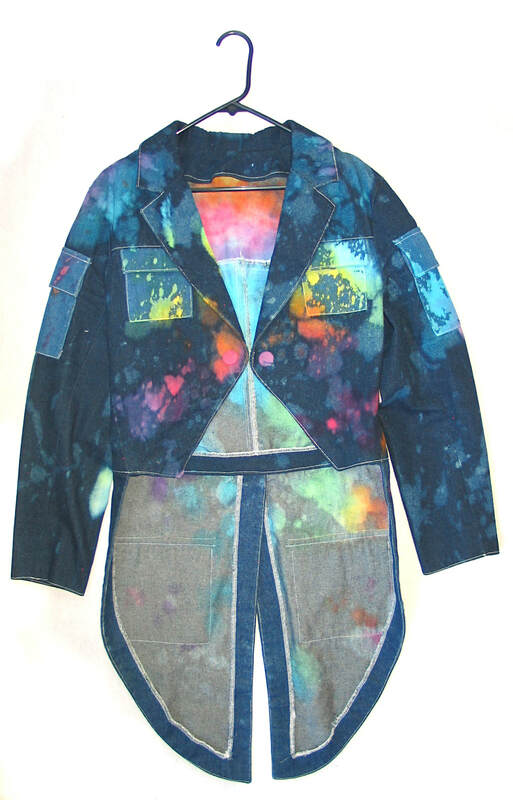 If the coat is machine washed and dried, it will not maintain the bright colors, and they could blend together in a bad way.